The thrilling story of an ill-fated expedition to the South Pole by the bestselling and award-winning author of Schindler's List. In the waning years of the Edwardian era, a group of English gentleman- adventurers led by Sir Eugene Stewart launched an expedition to reach the South Pole. More than sixty years later, Anthony Piers, the official artist of the New British South Polar Expedition, finally unveils the sobering conditions of their perilous journey: raging wind, bitter cold, fierce hunger, absolute darkness-and murder. The first two decades of the twentieth century were known as the "heroic era" of Antarctic exploration. In 1911, Roald Amundsen reached the South Pole. Weeks later, doomed British explorer Robert Falcon Scott arrived-and then perished in a blizzard. And in 1914, Ernest Shackleton embarked on his infamous voyage to Antarctica. 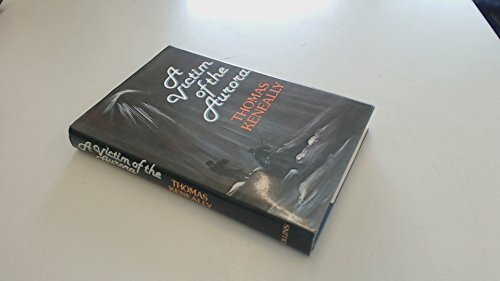 Set during this epic period of adventure and discovery, Victim of the Aurora re-creates a thrilling time in an unforgiving place and is a brilliantly plotted tale of psychological suspense. Thomas Keneally is renowned as the author of Schindler's List, which was awarded the Booker Prize and made into an Academy Award-winning film by Steven Spielberg. He is author of more than twenty works of fiction and nonfiction and is one of Australia's leading literary figures. He lives in Sydney.